Below is the article as submitted to Barista Mag with extra photos included. 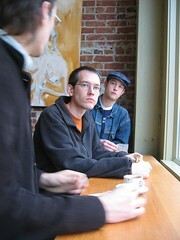 Fellow Cambridge area barista's Judson McRae, Silas Moulton and I arrived in Bellingham, WA late Friday Night. We awoke early to grab a bite to eat and then began our coffee touring. The three of us headed down for shots of 'Spro as they call it at the Black Drop, a neighborhood coffee place proudly serving Hine's Public Market. We were shortly joined by Richard Hartnell (a Barista I met on the Guatemala Barista Trip to FVH) who gave us the tour of Bellingham's coffee scene. Richard took us by Cafe Adagio where we would get shots of Caffe D'Arte's 'The meaning of life' before moving on. 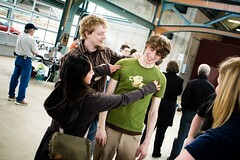 We quickly headed across town to drop by the Bellingham farmer's market and see the event space for the B-Ham jam. The farmer's market is a vibrant bustling location full of vibrant colors and live music. We stopped by the Moka Joe's kiosk and said hello to Travis who was covering a shift. Travis was the inspiration for getting a Jam moving. It's easy to see that optimism in his smiling effervescent personality. You could easily say he is representative of Bellingham because it was amazing to see how close the community was and how many people were so friendly and outgoing. Richard parted with us shortly after and we headed off to lunch. Judson and I got word lunch was at a little place called 'The Vines Du Jour Bistro.' We walked in and were immediately greeted by a smiling lady named Becky. Becky noted without an introduction, 'You are Edwin's friends aren't you?' We acknowledged and began perusing the wines waiting for others to arrive. We were shortly joined by Edwin and Nina Martinez along with Gabe and Ashley Rodriguez while Silas trailed behind shortly to rejoin our group. Eddie, as you begin to call him once you spend time around both him and his father Edwin Sr., was our host on the trip to Guatemala where we visited his family farm Finca Vista Hermosa. 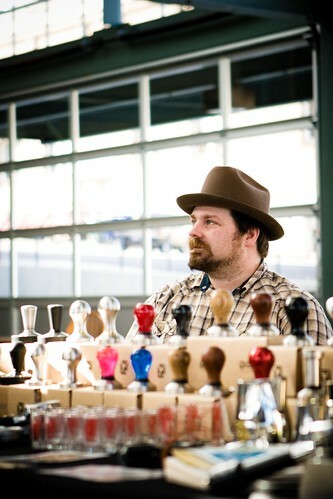 Eddie is one of those serious and very honest people you love to run across in the coffee industry. This industry needs people like him to keep moving forward. Gabe happened to be the photographer on that same trip with whom I felt a strong connection. Both of whom I consider to be good friends welcome in my house anytime. We entered into a good long conversation about topics ranging from coffee quality to how each of my friends met. It was a unique experience to sit at the table connecting my Boston friends with the friends I made on the Guatemala trip. Becky served us up dishes which paired well with the good wine for what was a calming and comforting experience. Getting that many friends around a table for a great food and drink is a great thing to participate in. After an amazingly satisfying meal, where I realized I had not yet had a good polenta until that point, then we retired to Eddie's new project space. We briefly tasted a Kenya AA and 'eye-cupped' a few other samples while discussing roasting styles and different approaches to coffee. We needed to gather a few things and prepare our sleeping space for the night. We then headed out and met up with the fourth member of our Boston group, Ben Kaminsky. Kaminsky met us just as we got some bad news. The coffees we were going to brew in the vac pot for the event did not arrive in time. Before the trip, we got word from Eddie that we should brew vac pots and set up on a table with different brew methods at the event. We immediately told Simon Hsieh, a specialty roaster in Taiwan who is a wizard with vac pots. Simon generously offered up some coffees so we decided to try and get him some of Eddie's Finca Vista Hermosa coffees to include in the lineup. 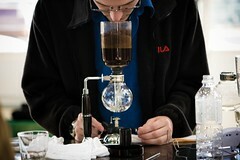 We had Eddie ship a sample to Simon who did his sorting and sampling routine while roasting with an eye towards vac pot. He then mailed it back immediately. Sadly, the coffees didn't make it, they ended up bouncing from Bellingham over to Boston with a stop in Texas! We were crushed having done so much to arrange the coffees and then having it not work out. The one thing that made us feel much better was having Kaminsky with the group and bringing his energy and positive attitude helped us rebound quickly. We retired to Gabe's place and enjoyed an amazing sunset which would set the mood for the next day and slept what was an amazingly comforting sleep. We entered early and set up our version of vac pots we had learned from Simon in Taiwan. 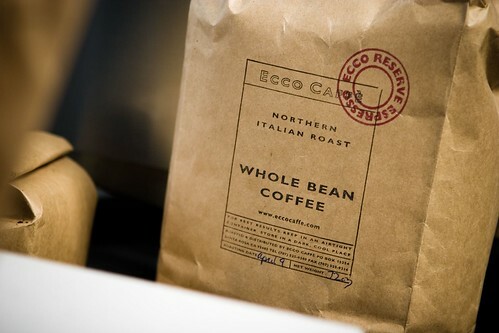 We scoped some different coffees and settled on what looked like the best roast for the method. It was actually a coffee we were all very familiar with. Part Fazenda Cachoeira, part 2004 Daterra Reserve, it was Andrew Barnett's Ecco Reserve. We were comfortable enough brewing this that it actually came out with a very crisp cup getting a subtle fruit tone to go with the caramel and nuts in the cup leaving a sweet lasting finish. 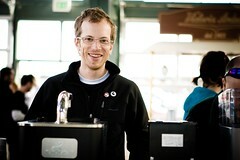 We were grateful enough that Andrew sent coffees that I would call him later to thank him. Sometimes, the old familiar coffees are the ones you know how to work best. We brewed vac pots several times until my cohorts abandoned me and I could no longer continue. Once free to move around I slipped by the Espresso parts booth to chat about equipment and food. It was exciting to see Dave had trotted out the tamper mod with the brass ring we liked so much we were calling it the Barismo-Spec! After browsing the crowd a bit and meeting some more awesome people, I joined Silas, Kaminsky, and Judson for a cupping upstairs. Keith from Victrola had brought a lineup of 5 Colombia CoE, a defect Colombia, and the Colombia Victrola was currently selling. We broke crust and smelled them all, the defect being obvious early on. All of us immediately identified the CoE #1 and strangely began crowding around it when it was time to cup it. Filling in the rest was fun guessing but overall, it was a great setup from Victrola. Afterwards we talked a bit more then went for lunch with Gabe and Ashley. Zander of the Coffee Equipment Company joined us for lunch leaving a shocked Kaminsky who halfway thru the lunch finally realized he was sitting next to the 'the clover guy.' Of course Kaminsky immediately began asking the hard hitting questions. 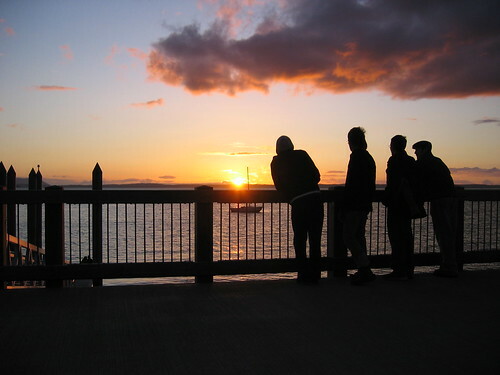 We headed out after saying goodbyes to everyone and headed towards seattle. We took Keith up on his invite to tour the roasterie and checked Victrola's new location out. It was polished and the barista's were skilled in what would be the most notable shot we had in Seattle. Shortly thereafter, we headed over for a quick lunch and dropped by Vivacce momentarily before we had to bolt across town to the airport to drop Judson off with minutes to spare to catch his flight. Zander invited us to visit and of course we had to take them up on their offer if not only for the shots of Hairbender they were pulling but also for some conversation and Clover swag. Zander was very generous in answering all our questions and listening to our opinions at length. We exchanged business philosophies talked about roasters and compared clover to other brew methods. It gave us more respect and a unique perspective of the Clover team. Zander recommended we visit lighthouse but time was short and we made our way up the streets to a little place called Floating Leaves. A tea house where we were aware they had a Dha yu ling tea. A major score for any dedication Taiwanese tea enthusiast. Crunched for time, we made a mad dash into town searching for an Amtrak station. Though we had no idea where it was, through Kaminsky's dedication to jump into traffic and ask directions/check maps, we were able to get Silas on the train without moments to spare. Both the Clover and Espresso Parts crews recommended this bar to visit but we could not remember the name exactly. It started with a B. We spent Sunday night searching and searching unsuccessfully until we gave up. Kaminsky and I with two hours before flight decided the trip could not be a success unless we succeeded in finding this place. Circling and circling we turned into a side street where a large warehouse with a griffin painted on the side was. It occurred to us this might be the place. A sense of relief that we would have good eats and a place to relax came over us. Checking the tiny A frame outside, it was Brouwards. We piled in and ordered a massive stack of pomme frites with an array of sauces and settled into what seemed like the biggest 'veggie' burgers we had ever had. By the end of the meal we discovered two things. 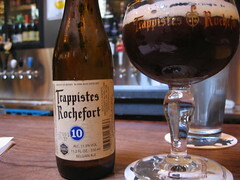 We don't like beer so much as we love 'barley wine.' Seattle is great and the people were awesome, but Cambridge with all it's strange habits and unique charm is not too bad either.